This item has been removed from a: 2015 Suzuki Vitara MK4. A c omplete and genuine 2015 Suzuki Vitara MK4 1.6 M16A petrol door card with window switches for driver side front right as pictured. Model: Vitara MK4. SUZUKI SWIFT Door Panel. 2015 SUZUKI SWIFT which we are dismantling. SWIFT 2010 -2017 Mk4. Colour Red. gearbox 5 Speed. Doors 5 Door. FRONT RIGHT ;. VIN number TSMNZC72S00549547. CELERIO 2015 -2018 Mk1 (AVK). Item Specifics:2015-2018 - MK1 - 5 DOOR - HATCHBACK - RIGHT REAR - DOOR PANEL. Part:Door Panel. This Door Panel was removed from a2018 car and has been fully inspected. Item Specifics:2004 - 2010 - MK3 - 5 DOOR - HATCHBACK - RIGHT FRONT - DOOR PANEL/CARD. SWIFT 2004 -2010 Mk3 Front Right. Part:Door Panel. This Door Panel was removed from a2007 car and has been fully inspected. Suzuki Swift MK2 (2007). Genuine Front Driver OS Door Card. 5 Door Hatchback. Manufacturer Part Number - 83079-62JA2-BWM. ZCE - COSMIC BLACK. 5-Speed Manual. Engine Code. 1.3L - 68 kW (91.2 hp) - Petrol. Suzuki Cappuccino (1992-1995). N/S Passenger Left. Changed your mind?. SZ2 998cc Petrol 5 Spd 5 Door. This part was removed from a Right Hand Drive Vehicle. Compatibility is a guide only. Your item will need to be signed for. Door Panel. TRIM LEVEL. Part Number. This item has been removed from a: 2015 Suzuki Vitara MK4. A c omplete and genuine 2015 Suzuki Vitara MK4 1.6 M16A petrol door card with window switches for passenger side rear left as pictured. Model: Vitara MK4. SUZUKI SWIFT MK4 2018 PASSENGER SIDE FRONT DOOR CARD COVER PANEL. SUZUKI SWIFT MK4 2018 DRIVER OFF SIDE FRONT DOOR CARD COVER PANEL. 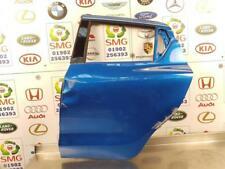 SUZUKI SWIFT MK4 2018 DRIVER OFF SIDE REAR DOOR CARD COVER PANEL. SUZUKI SWIFT MK4 2018 PASSENGER NEAR SIDE REAR DOOR CARD COVER PANEL. This is a part fromSUZUKI SWIFT GL 5. Body Colour:SUPERIOR WHITE. Body Colour Code:26U. Driver Position:RHD. Body Type:5 DOOR HATCHBACK. Gearbox: 5 SPEED MANUAL. This is a part fromSUZUKI SWIFT GL 5. Driver Position:RHD. Body Type:5 DOOR HATCHBACK. Body Colour:SUPERIOR WHITE. Body Colour Code:26U. THIS ITEM IS COMPATIBLE WITH MANY OTHER VEHICLES. CELERIO 2015 -2018 Mk1 (AVK). Item Specifics:2015-2018 - MK1 - 5 DOOR - HATCHBAAK - LEFT REAR - DOOR PANEL / CARD. Part:Door Panel. This Door Panel was removed from a2018 car and has been fully inspected. CELERIO 2015 -2018 Mk1 (AVK). Item Specifics:2015-2018 - MK1 - 5 DOOR - HATCHBACK - RIGHT FRONT - DOOR PANEL. Part:Door Panel. This Door Panel was removed from a2018 car and has been fully inspected. CELERIO 2015 -2018 Mk1 (AVK). Item Specifics:2015-2018 - MK1 - 5 DOOR - HATCHBACK - LEFT FRONT - DOOR PANEL. Part:Door Panel. This Door Panel was removed from a2018 car and has been fully inspected. standard 3 Month Warranty. IGNIS - RHD. L Front Door. Trim Level Other Details Number Of Doors. IGNIS - RHD. L Rear Door. Trim Level Other Details Number Of Doors. Suzuki Cappuccino (1992-1995). Door Card Top Rail. N/S Passenger Left. Changed your mind?. Item Specifics:2004 - 2010 - MK3 - 5 DOOR - HATCHBACK - RIGHT REAR - DOOR PANEL. SWIFT 2004 -2010 Mk3 Rear Right. FORESTER 2008 -2012 Mk3 (SH) Front Right. Part:Door Panel. This Door Panel was removed from a2007 car and has been fully inspected. ALTO 2009 -2015 Mk5 Rear Right. Item Specifics:2009-2015 - 5 DOOR - HATCHBACK - RIGHT REAR - DOOR PANEL - MK5. Part:Door Panel. This Door Panel was removed from a2012 car and has been fully inspected. DOOR CARD INNER TRIM PANEL DRIVER FRONT RIGHT OFFSIDE OFF SIDE OSF O/S/F. REMOVED FROM 20113 SUZUKI ALTO SZ3 1.0 MANUAL --- WILL FITS 2009 -2015 (See photo below). WE CURRENTLY BREAKING FOR SPARE PARTS.